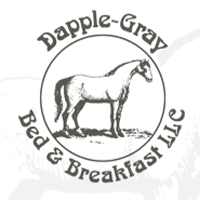 You have choices for lodging during your stay in Copper Harbor. Motels offer a variety of accommodations and there are several cabin options in town and within a few miles of town. If you prefer a B&B you are covered there too. If you enjoy being in the great outdoors, there are campgrounds for you. Are you going to Isle Royale? The Isle Royale Queen IV takes visitors to the island from Copper Harbor in only 3 1/2 hours. Stay before and after your trip and consider extending your adventure a few days to explore what Copper Harbor has to offer! Planning to check out Mount Bohemia? Copper Harbor is the closest, full service town to the hill. A gorgeous 14 mile drive from Mount Bohemia is definitely worth the trip. Aqua log cabins are located on the lake ( Lac La Belle) and are part of an 1100 acre resort with over 15 miles of hiking trails on property. Each log cabin has a screened in porch and all cabins overlook the water. Pontoon boat, fishing boat, Sea Kayaks, paddle-boards and bikes are available for free when you reserve the all inclusive package. Cozy private cabin rental property located on main avenue of Copper Harbor, MI. Available for rent year round fun with easy access to snowmobile/ ATV and mountain bike trails. Located only steps away from public dock on lake superior, public park, fish market, and multiple shops and restaurants. Rental cabin contains; fully equipped kitchen, dining area, living room with 2 twin beds, single bedroom with 2 more twin beds, full bathroom, and private front deck. -Requires 2 night minimum on rental. In town on the waterfront looking over beautiful Copper Harbor and Lake Superior. Close to the Isle Royale Ferry dock. Clean, affordable, lakefront rooms, economical non view rooms, housekeeping cottages, cable TV, free WiFi and complimentary coffee. All rooms are pet-free and non-smoking. Accommodations include six comfortable, clean, non-smoking rooms situated in Copper Harbor at the base of Brockway Mountain. The rooms all have color-satellite remote TVs, free WiFi and free morning coffee. (in the shop during the summer months) We accept pets, with some restrictions. There is a refrigerator and microwave available in a common area for guest use. Four seasonal cabins, and two, new year round use cabins nestled between Lake Superior and Look Out Mountain on the shore of Lake Bailey. Your quiet, comfortable “basecamp” cabins for year round access to all your Keweenaw adventures. A new log lodge with Victorian decor. Four private suites overlook Lake Superior. We feature annotated antique glass displays, the Dapple-Gray Antique Shop and weekend seminars. Sauna and all modern amenities. Your hosts: Ole & Ruth Van Goor. Housekeeping cabins on Lake Superior shores. Large guest sitting area with fireplace. All cabins have a lake view and are just seconds from the water’s edge. Our beach is made up of pebbles and is a great place for agate hunting. There are also several places where it is easy to slide a kayak or canoe into the lake. All cabins have satellite TV and each cabin has an outside charcoal grill and there are picnic tables scattered throughout the grounds. Fort Wilkins Historic State Park offers camping, day-use facilities, a restored 1844 military outpost and one of the first lighthouses on Lake Superior. Restoration work and development began in the 1930s. Costumed interpreters demonstrate the history of the Keweenaw Peninsula fort. There is a cabin on Lake Fanny Hooe that is rented year round also. Make an online reservation for a night on the waterfront in the “Crow’s nest” with a stunning view of Copper Harbor lighthouse and Porter Island.. 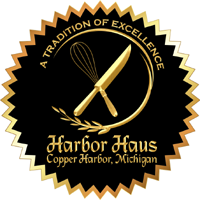 The Harbor Haus Crow’s Nest is the perfect Romantic Getaway. The Luxury Suite features a stunning panoramic view of Lake Superior, Whirlpool Bath, Cathedral Ceiling, and Custom Woodwork at $188.00 per night . Accommodations are for up to two (2) people and no pets are permitted.Preferred reservations are available at the Keweenaw’s premiere fine dining restaurant. Use the “Lodging” tab on the website to check availability. The Keweenaw Adventure Chalet, Cabin and Cottage are great bases for YEAR-ROUND lodging, and Adventure House is available for the winter. Copper Harbor Mountain Bike trailhead is across the street from the Chalet & Cabin and blocks from the Cottage. Easy walking distance to restaurants, bars, micro-brewery, shops and the general store; 2 blocks from Lake Superior. Mount Bohemia is just 14 miles away. Chalet sleeps 2-4. Cabin sleeps 3-5. Cottage sleeps 2-3. House sleeps 2-5. ONLINE RESERVATIONS available on website. Cabin lodging. Event hosting. Dining. Golfing. Mountain biking. Hiking. It’s all here at the Jewel of the Keweenaw! Over the past 85 years, the Keweenaw Mountain Lodge has hosted generations of families who celebrated life’s special moments. Come experience the fun, joyous, and adventuresome atmosphere at the Lodge for your next outing, event or vacation. and complimentary Wi-Fi. Our beach side rooms offer additional space and feature sliding glass doors for panoramic, picturesque views. Dock space available for small watercraft and fishing. Pets are welcome for a small charge. Cottages and lakeside motel rooms with kitchenettes. Boat rentals, swim beach and playground. 64 site campground, water/electric and full hookups and laundromat. Whether you’re looking for a lakefront hotel, cozy cabin or campground facilities, we have accommodations and lodging options for all your vacation needs. Motel rooms and large cabins with queen or king beds, whirlpool tubs and a Honeymoon Suite. Restaurant featuring casual dining in lounge/bar offering full dining room menu and soups, sandwiches, salads and pizza. Game room, entertainment.Accommodations vary, please inquire when calling. Motel rooms, cottages, museum, Thunderbird gift shop, and Certified Massage Therapist on premises.Stay in one of our cozy log cabin cottages or chose a deluxe motel room, shop in our Thunderbird gift center to find unique gifts for yourself or family and friends, then slip back in time on a tour of our Astor House Museum. The resort hosts lodging guests May thru October. An 1100 acre resort with Cabins and Yurts featuring Sea Kayaking, Fishing, Paddleboarding,hiking, and biking. Over 12 miles of on site hiking and biking trails. All activities and equipment included in lodging price. Mount Bohemia in Michigan’s Upper Peninsula has the longest runs with the highest vertical and deepest powder in the Midwest. This hidden secret is a true treasure for backcountry skiers and riders. The average snowfall in Michigan’s Keweenaw Peninsula is 273 inches. Motel rooms, reasonable rates, 2 blocks from Isle Royale dock, quiet location, family operated for 50 years, harbor access across the street. We are centrally located within short walking distance of shops and restaurants. Open May through October. We are right across from the Community Park and Visitor Center. The trailheads for Mountain Biking and ATVing are located there. Snowmobiliers can find us where Trail 3 and Trail 134 connect. We have a restaurant, bar, motel rooms, and cabins. A Sauna is located in the motel for guests to use. For summer visitors, there is a fire pit to enjoy the outdoor experience so many come to Copper Harbor for.